On Monday, Oncolytics Biotech announced the details of a new collaboration for its Phase 3 clinical trial. 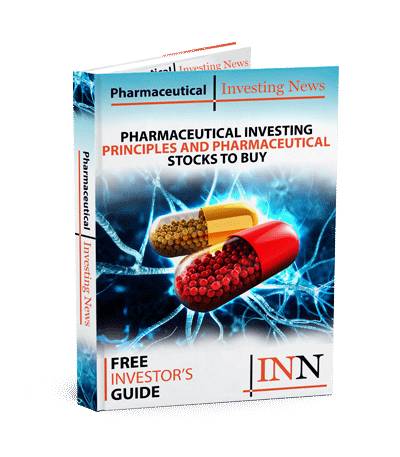 On Monday (September 10), Oncolytics Biotech (TSX:ONC,NASDAQ:ONCY) announced details of a new collaboration for its Phase 3 clinical trial. The partnership with SOLTI will support the trial developing Reolysin (pelareorep) for metastatic breast cancer by further examining the drug in a window of opportunity study (WOO). This will confirm findings of the company’s Phase 2 trial and gain an improved biomarket plan. Oncolytics said that it expects the Phase 3 clinical trial for the drug to begin mid-2019. The WOO study means Oncolytics’ treatment will be researched before and after patients undergo the standard of treatment — in this case a mastectomy. For this study, patients will undergo both an examination and treatment on the first day.Three weeks into the trial, patients will receive a final biopsy on the day of their mastectomy. Patients may also use the another treatment, Tecentriq (atezolizumab), an immunotherapy developed by Genentech. Oncolytic’s drug candidate is an IV administered immuno-oncolytic virus in development for treating solid tumors and hematological malignancies, which are blood cancers. The drug has shown to break down the tumor cell wall and promote other tumor fighting characteristics. Breast cancer is both the most widespread cancer among women the most common cause of cancer death globally. In 2015, about 570,000 million women died from breast cancer, according to the World Health Organization. Although genetic research — especially through data accumulated through genetic testing — has proved to give medical professionals a better understanding of biomarkers and specific genes leading to certain types of breast cancer, this is still only touching the surface. SOLTI is a non-profit association that has a network of over 300 scientific experts, including medical oncologists in 80 hospitals throughout Europe. Oncolytics is a biotech company focusing on developing pelareorep in five developmental and three legacy studies. Most trials are in Phase 2 development, with some indications including: pancreatic cancer, myeloma and breast cancer. On the NASDAQ shares of Oncolytics Biotech decreased 8 percent to US$4.25 as of 1 p.m. EST Tuesday (September 11). For the TSX, shares decreased 9.33 percent to C$5.44 for the same time. Investors looking for more information on the company can expect to hear news throughout the next year on this Phase 3 clinical trial — which is expected to begin mid-2019 — and others.